I lent my Corolla 4wd to an auto website for road test and you won't believe what happened next! They did a nice little write up and I got some great photos and a full tank of petrol! yay! Can anyone spot the glaring error in the intro? Re: I lent my Corolla 4wd to an auto website for road test and you won't believe what happened next! I give on the error; is it something Oz-related? Overall, I think your car came off pretty darn well! The first thing I noticed from just your photo is the HORRIBLE rear visibility of the C-HR; maybe because I still parallel park and consider rear visibility paramount? The article mentions the poor visibiity of the C-HR - of course, this fault is everywhere nowadays, but seemingly exaggerated in the C-HR. The only error I noticed was that the article mentions 13" wheels, whereas your car has 14"s, but that is not really wrong. OT, but I figgered since nearly the rest of the world has gone metric, the wheels (in at least Oz) are still stated in inches! I wonder why? Here is the glaring error, or is the author simply illiterate to the meaning of the word? "..the predecessor to the Tercel, the Corolla SR5 4WD Wagon..."
OK - next time I will wear my glasses. Technically, the author was correct in that the Corolla was the predecessor to the Tercel (‘79-‘80 was called the Corolla Tercel). They were also wrong, since the 4wd Tercel actually preceded the 4wd Corolla. It confused me a bit when I first read it. By the way, nice clickbait title Mattel. Do not be afraid of sudden fear nor of the onslaught of the wicked when it comes; For the LORD will be your confidence and will keep your foot from being caught. Hi Slimdude. 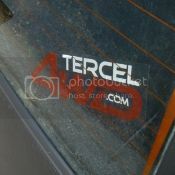 Interestingly the only Tercels we ever received thee 2nd gen Tercel 4wd wagons and no Autos. Only Manuals. Tom! Metric is everywhere except Wheel / Tyre size and Surfboards. An old housemate of mine had a Renault Fuego in the late ninetees and that had metric size tyres and wheels! only Michelin made the roughly 14.5" tyres! Working in Architecture we do get a lot of weird standard sizes for doors and sheets because they come from imperial standards to mm. Those fuel economy #s in the article are way off. It must be an error. "In its day, the Corolla had a claimed combined fuel reading of 13.3L/100km, and after doing some maths, we got a reading of 8.3L/100km after a freeway run. In the C-HR, Toyota claims 6.5L/100km, just a smidgen lower than what we got, which was 6.9L/100km." 13.3 L/100 km is equal to 17.7 mpg. That doesn't make any sense. Maybe they meant 13.3 km/L? That would be 31.3 mpg, which is about what I averaged with my ae95. Neat article overall though, very cool Matt! Hi David, I think they got confused and used the Urban cycle fuel economy reading to get 13.3l/100km which would probably be about right. It was a fun test to be part of and I got to be a reviewer of the new Toyota CH/R which was fun.